The winner who visited my blog and left comment for my interview with romance author Fay Lamb is Laura Poole. She will receive a copy of Fay’s novel Stalking Willow. 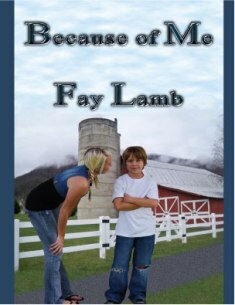 This post is written by Fay Lamb, the author of Because of Me. I’ve never watched the television show Desperate Housewives. Not one minute of it, but I’ve seen the commercials. That’s enough for me. I can’t imagine living in a neighborhood of catty, conniving women. I wouldn’t want to live there, and if I found myself surrounded by such woman, I’d do everything I could to move. The concept of desperate housewives isn’t new. We have a glimpse of two desperate women wanting the attention of the same man when we read the life of Jacob and his marriages to Leah and Rachel. What must it have been like for Leah? She couldn’t remove herself from the situation her father placed her into. Her father had given her in marriage to a man who had eyes only for her sister, a man who when he found he’d been tricked into the marriage, immediately set about to marry the woman he loved? And in some ways, Leah’s sister was as bad as the woman of Wisteria Lane. Genesis 29:31 tells us that God saw that Leah was unloved—that Jacob had no feelings for her. His true affection belonged to Rachel. Leah could have resorted to conniving, as Rachel later did when she wanted Leah’s mandrakes. She also could have decided to make Jacob’s life miserable as Rachel had done when she demanded from Jacob things that were not his to give. “Give me children, or else I die,” she said. Instead, Leah quietly endured. This desperate housewife turned her attention to God. Leah named her firstborn Reuben, which literally means, See, a son. Then she said, “Surely, the Lord hath looked upon my affliction; now therefore my husband will love me.” Can’t you just imagine this woman’s broken heart crying out, “Lord, my husband doesn’t see me”? Leah may never have come to terms with the fact that her husband’s affections belonged to Rachel. In naming her younger sons it was clear she still longed for Jacob to love her, but Leah, a truly desperate housewife, gave her sorrows over to God, and God blessed Leah with children, and through the lineage of this quiet woman of prayer, the world received a blessing. . .Jesus Christ. 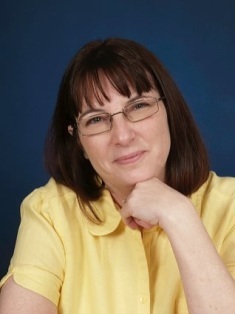 Fay Lamb works as an acquisition/copyeditor for Pelican Book Group (White Rose Publishing and Harbourlight Books), offers her services as a freelance editor, and is an author of Christian romance and romantic suspense. Her emotionally charged stories remind the reader that God is always in the details. 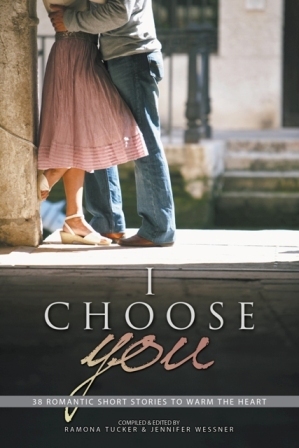 Because of Me, her debut romantic suspense novel is published by Treble Heart Books/Mountainview Publishing. Available through all fine book retailers, Amazon.com, and Mountainview Publishing (www.trebleheartbooks.com/MVLamb.html), a division of Treble Heart Books.